Wildcare Eastern Sierra will hold their annual free Volunteer Orientation on Sunday, March 25, 1-3 PM. 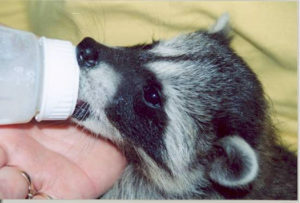 Wildcare depends on volunteers for help in caring for injured, orphaned and ill wild birds, mammals and reptiles. Every year, people of all ages give of their time and skills. Some volunteers, like Kevin and Janice, help with rescues; Susie and Trina help with pickup and transport. Others, like Clara and Lynna, work directly with animal patients at the Wildcare Center. They may feed baby birds, clean flight cages, prepare diets. Still others, like Linda, help with WES’s education programs. More than 35 volunteers pitch in every fall for Wildcare’s annual “Wild Spirits” fundraiser. Dow helps with facility improvements and repairs; Elizabeth helps with the WES website and social media. Some long-time volunteers like Bert and Christina help with a wide assortment of tasks. 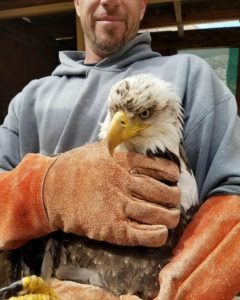 In short, volunteers play a key role in Wildcare Eastern Sierra’s mission of rescue, rehabilitation and release as well as in teaching the community about our wild neighbors and resolving human-animal conflicts. might want to join them? On Sunday, March 25th, from 1-3 PM, our free orientation will be held in the Center at Keough’s Hot Springs. A tour, slide show and visit with Wildcare’s Wildlife Ambassadors (specially-permitted unreleasable animals) is included. Don’t miss this opportunity to learn about Wildcare Eastern Sierra. Call now at 760-872-1487 and reserve a space for Wildcare’s free Volunteer Orientation.